Communication Products – Nexions Corp.
Communication needs are an integral part of every commercial endeavor. 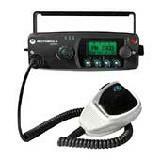 Whether its basic work radios or state-of-the-art wireless communication systems, Nexions has it. As a Master Distributor for Bluetooth Headset technology, we represent one of the most advanced wireless communication technologies on the market today. 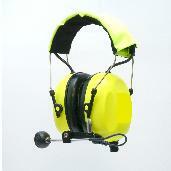 Talking Headsets solutions are rugged and specifically designed to allow communication in noisy environments. Offering a broad range of communication solutions is important in today's world marketplace. This is why Nexions represents Talking Headsets UK in the Americas. With this alliance, Nexions can source communications products for virtually any work environment from the office to industrial environments. We also sell other communication devices. Below you will see just a few of the items we carry in this area. If you need something that you don't see, please call us or send an e-mail to info@nexionscorp.com. We will respond as quickly as possible with a competitive quote and quick delivery.